The number of people who died on South African roads continues to rise with several accidents reported around the country since Christmas. Although official figures have not been made available, the toll is said to be reaching the 800 mark.In the latest incident, four people were killed and four others seriously injured in a multi-vehicle pile-up on the T30 road between Mthatha and Ngqeleni in the Eastern Cape. 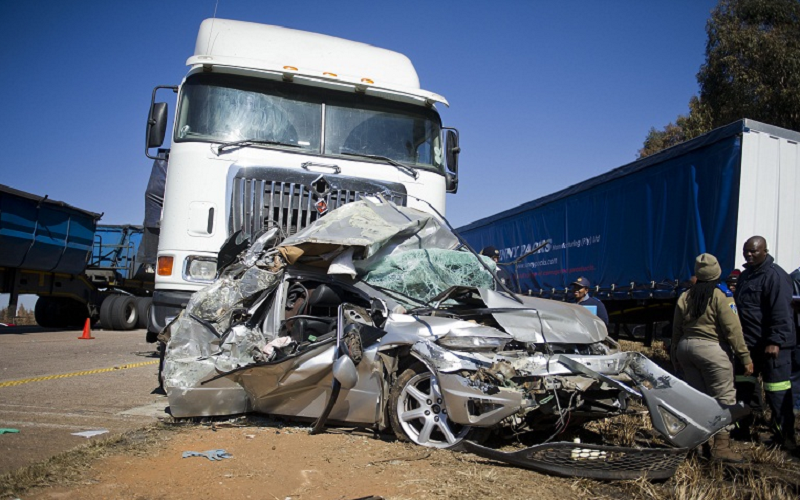 On Christmas Day, a Zimbabwean family was nearly wiped out in an accident that claimed four lives in Makhado. While both parents and their two daughters aged two and 14 died at the scene of the accident, two boys aged seven and eight survived. Three people died and 16 others were injured in an accident between a bus and a minibus on the R617 in Kwa-Zulu Natal’s Harry Gwala district at the weekend. The Road Traffic Management Corporation said more than 160 motorists had been charged for driving without valid driving documents.